Free Doughnuts for National Donut Day on June 6, 2014! While we may disagree on the correct spelling of Doughnut and Donut, we can all agree donuts taste better when they are free! Friday, June 6, 2014 is National Donuts Day and there are a few local spots celebrating with free donuts! 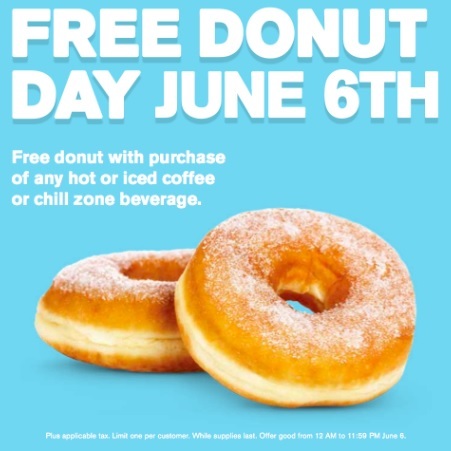 Will you be celebrating free donut day on Friday? Please let me know in the comments if I missed any great free donut deals!